What opportunity has been lost for those who have already been caught by the trap? For members who have not implemented a strategy, the capital supporting their ABP(s) is reduced by the amount of the pension payment(s), including the amounts above the relevant ABP minimum(s). However, there is no corresponding debit to the member’s transfer balance account (‘TBA’)! Where the member had ‘maxed out’ their TBC, they cannot add any further capital to commence a new pension that is in the retirement phase (ie, a pension that will obtain a pension exemption). Therefore, drawing more than the minimum payment will exhaust the capital supporting the ABP(s) significantly faster than would otherwise be the case. Where the member had not ‘maxed out’ their TBC, there will be limited capacity to add further capital to commence a new ABP. As at 1 July 2017, Ken is 66 years old and has an existing ABP with $1.6 million capital supporting his ABP. He does not have any other pensions. He also has an accumulation superannuation interest of $100,000. On 1 July 2017, his personal TBC is $1.6 million. A credit of $1.6 million applies to Ken’s TBA. On 1 August 2017, the SMSF trustee makes a payment of $200,000 to Ken. As Ken is 66 years old, the relevant ABP minimum payment for Ken is $80,000 (ie, $1,600,000 (account balance) x 5% (percentage factor)). Accordingly, this payment of $200,000 exceeds the ABP minimum payment for Ken by $120,000. The result is that the capital supporting the pension is reduced by $200,000, with $1.4 million remaining (ignoring any growth and expenses). However, there is no corresponding debit to Ken’s TBA, which still shows a credit balance of $1.6 million. As Ken’s TBC is ‘maxed out’, he cannot add any capital to start a new pension. If Ken does nothing and continues to receive pension payments greater than the relevant ABP minimum payment in this financial year (‘FY’) or in future FYs, the capital supporting the pension will be exhausted significantly faster than would otherwise be the case. Ken would not be able to add any capital to start a new pension. How can members minimise lost opportunity? Step 1: Pay all amounts above the relevant ABP minimum(s) as a lump sum payment from the member’s accumulation interest. Step 2: Where there is no accumulation superannuation interest or the accumulation superannuation interest is insufficient to pay the amounts in excess of the relevant ABP minimum(s), these excess amounts are to be paid as a partial commutation of the relevant ABP. For members who already had an ABP on 1 July 2017, the effectiveness of the above strategy is maximised if it were documented on or shortly after 1 July 2017, so that the strategy applies prospectively before the payment of any amount above the relevant ABP minimum. In those circumstances, the members would have avoided the trap. For the avoidance of doubt, the strategy document should have been dated when executed. Note that backdating or falsification of a document is a serious matter that can result in substantial penalties. As mentioned, some members may not have been aware or taken action. However, if the strategy is properly documented, these members can minimise any future lost opportunity. This is a continuation of the earlier example. As at 1 July 2018, Ken is 67 years old and has an existing ABP with $1.4 million remaining. He does not have any other pensions. He also has an accumulation superannuation interest of $100,000. On 1 July 2018, Ken’s TBA still shows a credit balance of $1.6 million. On 1 November 2018, the above two-step strategy is properly documented. On 1 December 2018, the SMSF trustee makes a payment of $200,000 to Ken. As Ken is 67 years old, the relevant ABP minimum payment for Ken is $70,000 (ie, $1,400,000 (account balance) x 5% (percentage factor)). Accordingly, this payment of $200,000 exceeds the ABP minimum payment for Ken by $130,000. As the strategy has been documented properly, the $70,000 is a payment from the capital supporting Ken’s pension, the $100,000 is a payment from Ken’s accumulation superannuation interest, and the $30,000 is a payment as a partial commutation of the ABP. The result is that the capital supporting the pension is reduced by $70,000, with $1,330,000 remaining (ignoring any growth and expenses). Ken’s accumulation superannuation interest is fully exhausted, ie, reduced to nil. There is also a corresponding debit of $30,000 to Ken’s TBA, which now shows a credit balance of $1,570,000 (assuming no other events give rise to a debit/credit). As Ken’s TBC is not $1.6 million, he can add capital of up to $30,000 to start a new pension. Alternatively, if no strategy had been documented, the result would be that the capital supporting the pension is reduced by $200,000, with $1.2 million remaining (ignoring any growth and expenses). However, there is no corresponding debit to Ken’s TBA, which still shows a credit balance of $1.6 million. As Ken’s TBC is ‘maxed out’, he cannot add any capital to start a new pension. The above example shows that once the two-step strategy is documented, the capital supporting the pension will be exhausted slower than would otherwise be the case if the member had not put into place such a strategy. Even if a member had been caught in the trap, a result of documenting the strategy is that the lost opportunity resulting from the trap is limited to the period in which there is no strategy in place. Subsequent payments above the relevant ABP minimum(s) made in accordance with the strategy would not be exposed to the trap. Can the strategy be documented to apply retrospectively? Unfortunately, for members who have been caught in the trap, it is unlikely that the ATO would accept documentation that applies a strategy retrospectively, ie, after the payment of the amount above the relevant ABP minimum(s) has occurred. In relation to the partial commutation of pensions, the ATO’s view, as expressed in TR 2013/5, is that the member must consciously exercise their right to exchange something less than their full entitlement to receive future pension payments for an entitlement to be paid a lump sum. Where no documentation exists either before or at the time of payment, it is hard to prove that the member consciously exercised their right. The ATO could decide that there was no partial commutation and that the amount was just paid as a pension payment in excess of the relevant ABP minimum(s). Accordingly, any strategy involving a partial commutation should be documented prior to the time of payment. Similarly, where the payments are allocated and the strategy documented ‘after the fact’, the ATO might take the view that the payments did not come from an accumulation interest as it could not be proven that this was the parties’ intention at the time of payment, and it was not a valid partial commutation. The ATO could then treat the payment as a pension payment in excess of the relevant ABP minimum(s). A conservative approach is to have relevant documentation completed and signed before the payment of the amounts in excess of the ABP minimum payment. Based on the above reasoning, members should take timely action to document a strategy so that the strategy can apply prospectively to the payment of any amount above the relevant ABP minimum. SMSF members who have been caught in the trap caused by the TBC need to take timely action and prospectively record a strategy for payments above ABP minimums. DBA Lawyers offers documentation to prospectively record the above strategy for any member who wishes to protect the capital supporting their pension(s) from being exhausted beyond the relevant minimum pension amount. 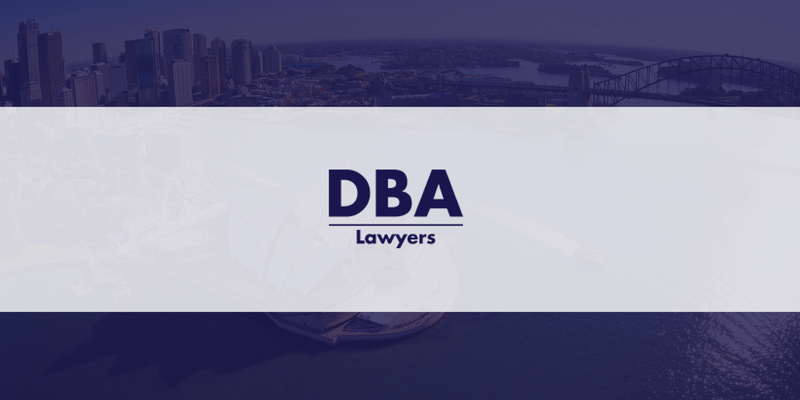 For more information, please visit https://www.dbalawyers.com.au/payments-abp-minimum/.